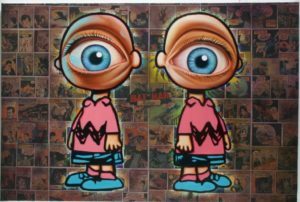 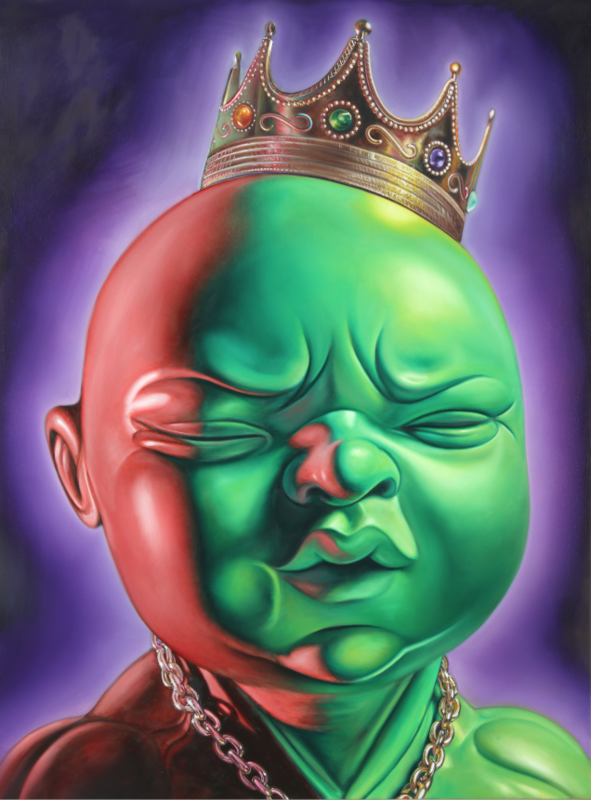 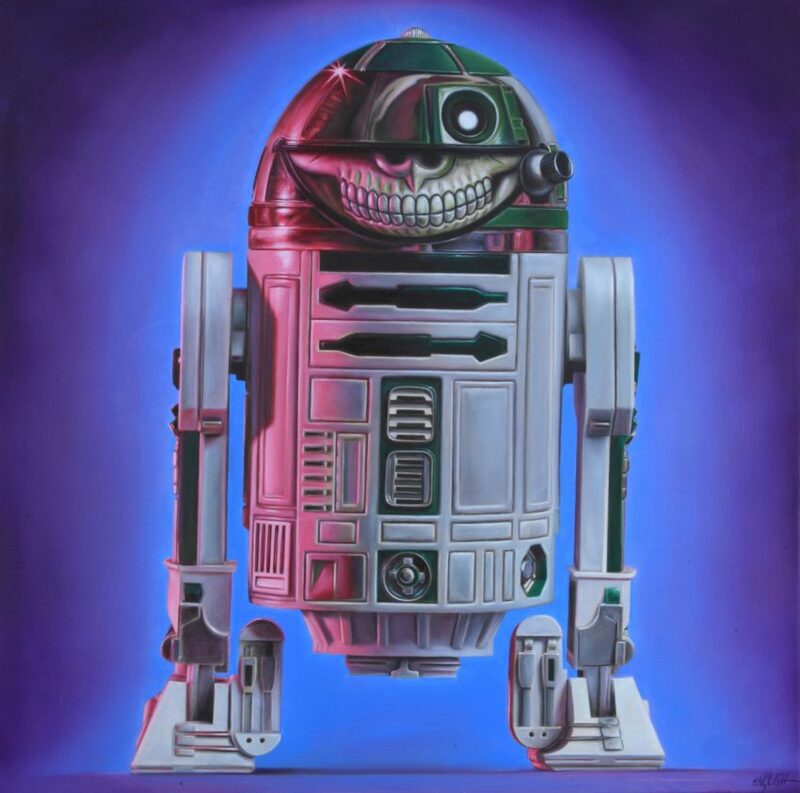 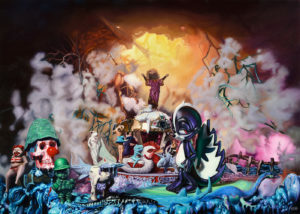 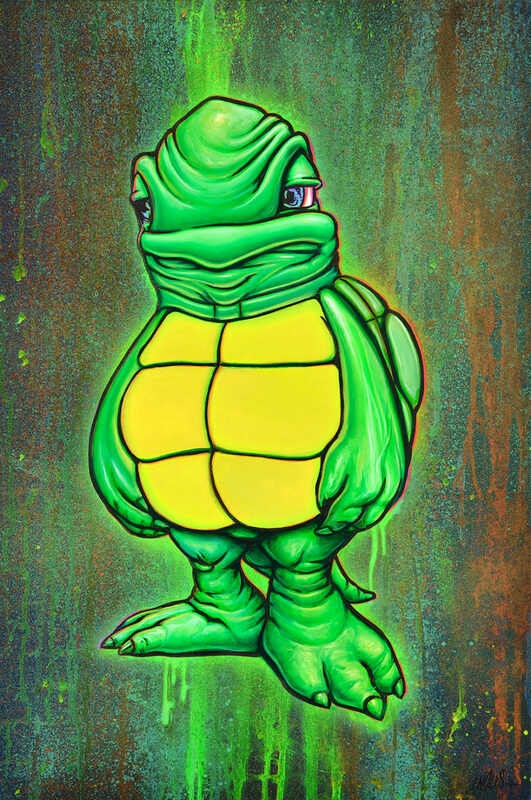 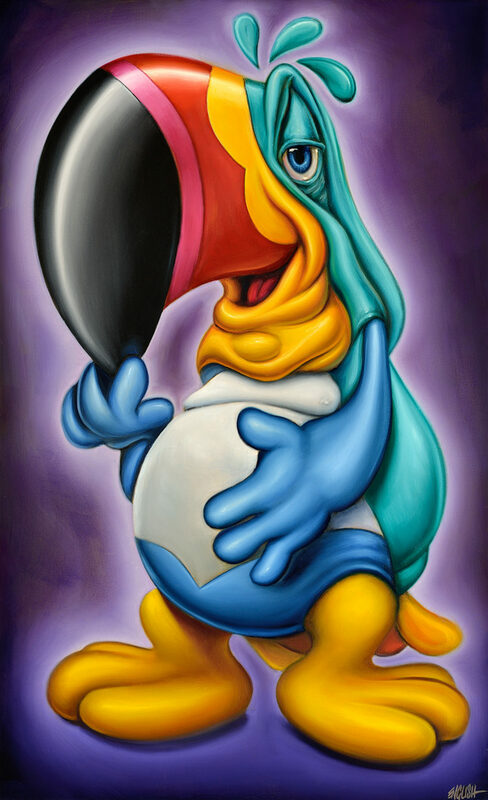 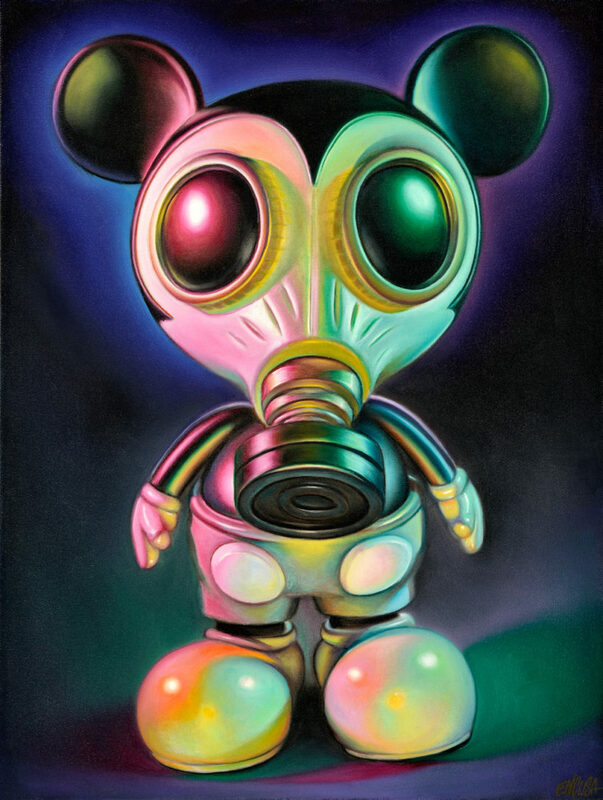 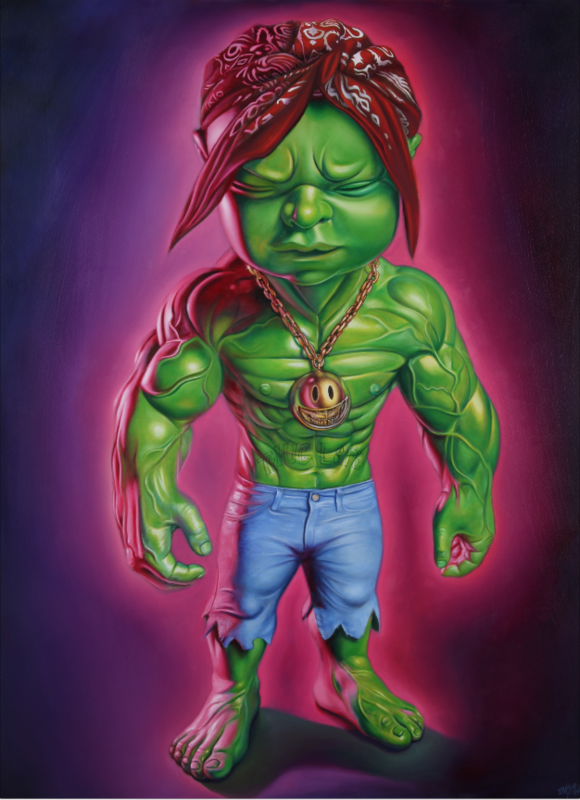 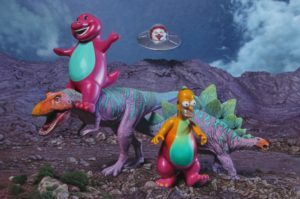 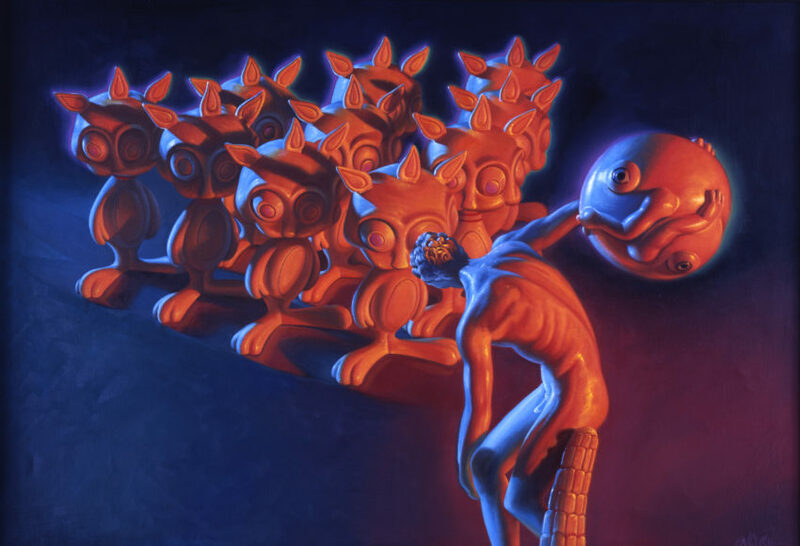 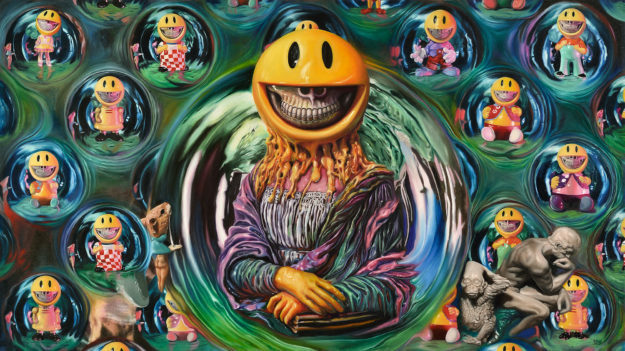 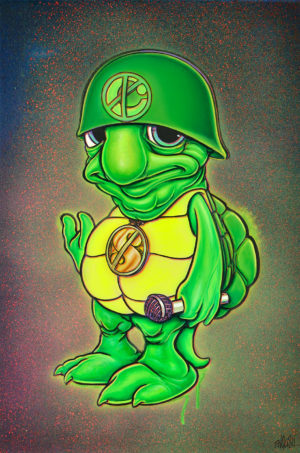 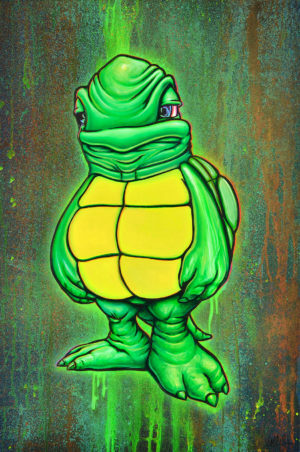 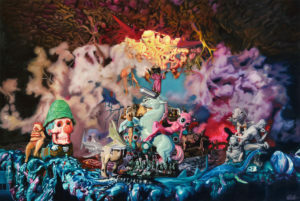 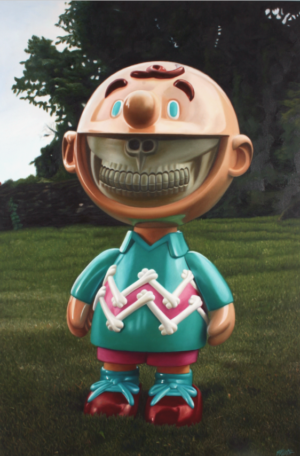 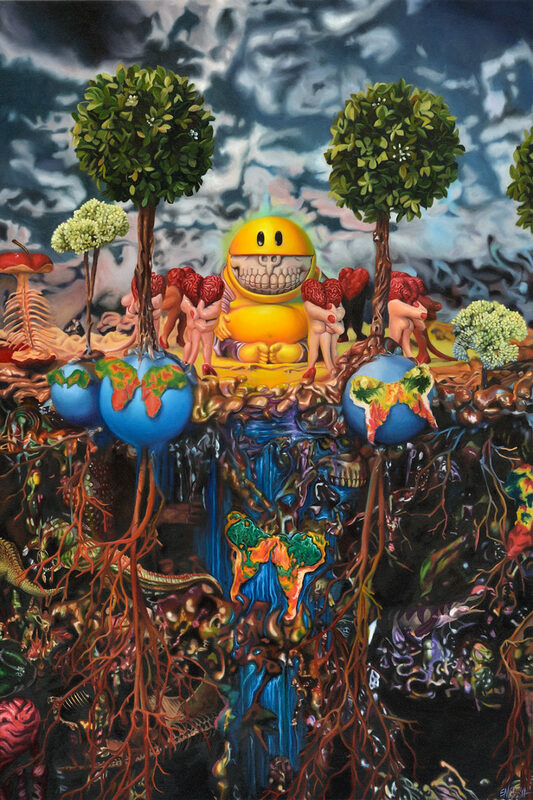 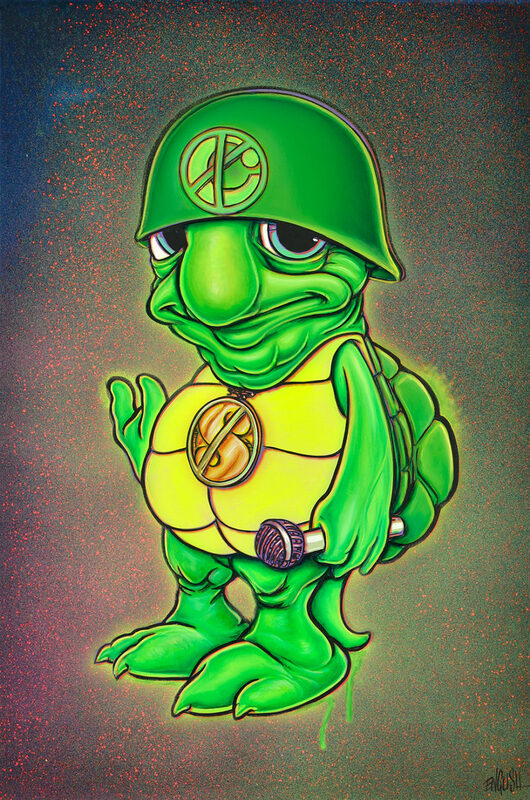 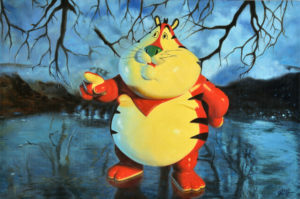 Ron English is a contemporary pop artist who explores popular brand imagery and advertising. 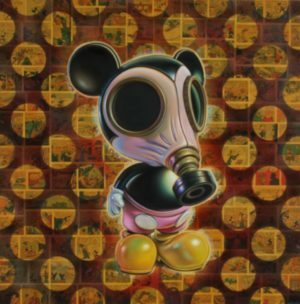 One aspect of his work involves ‘liberating’ commercial billboards with his own messages. 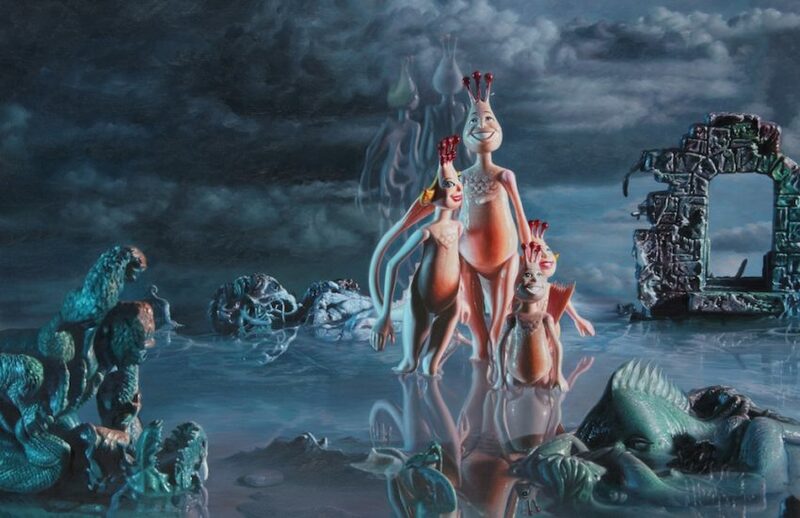 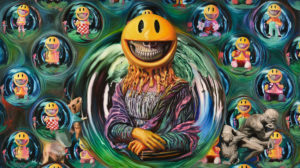 Ron English can be considered the “celebrated prankster father of agit-pop”, who wrangles carefully created corporate iconographies so that they are turned upside down, and are used against the very corporation they are meant to represent. 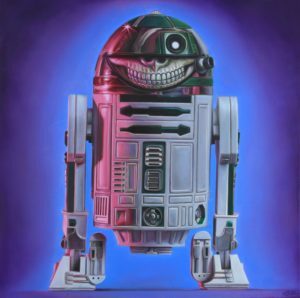 He takes inspiration from Andy Warhol and references him in his work. 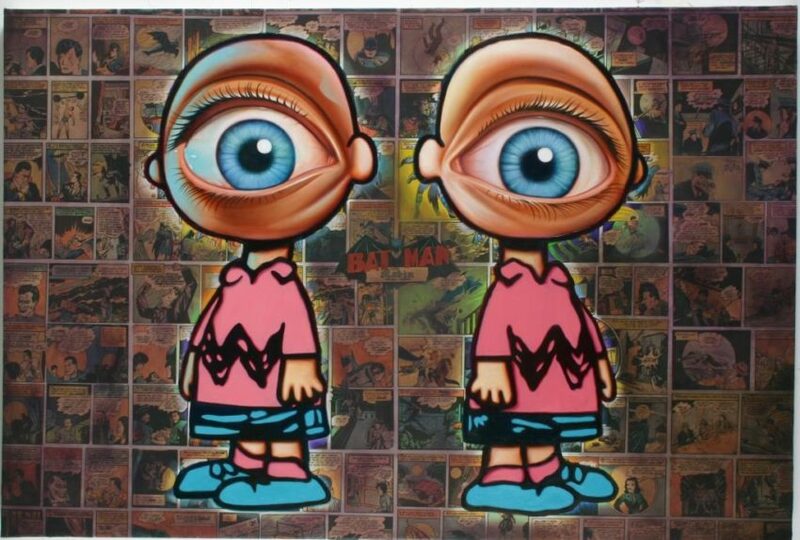 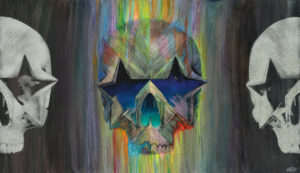 His many influences include Andy Warhol, KISS and various cartoons. 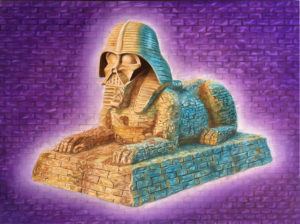 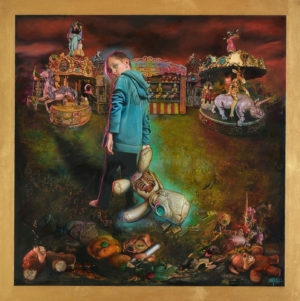 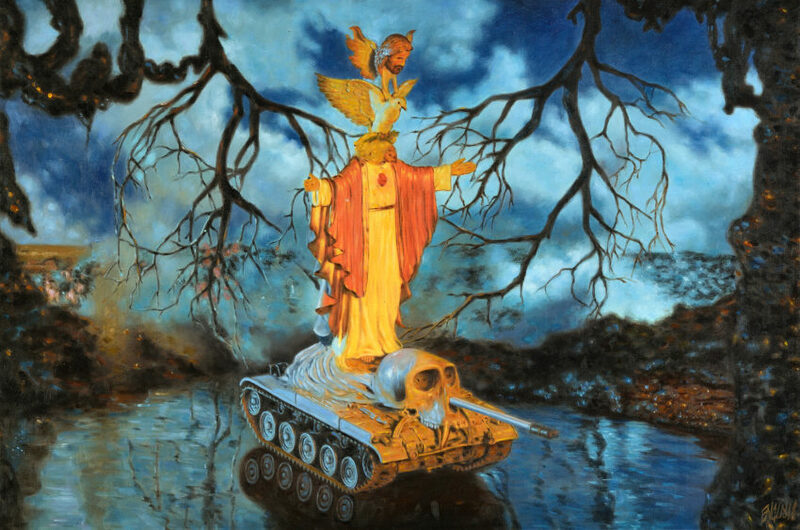 Ron English has also painted several album covers. He collaborated also with fellow artists Daniel Johnston and Jack Medicine in the Hyperjinx Tricycle project. 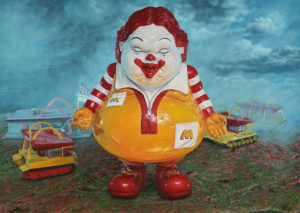 Some of English’s paintings are used in Morgan Spurlock’s documentary Super Size Me. 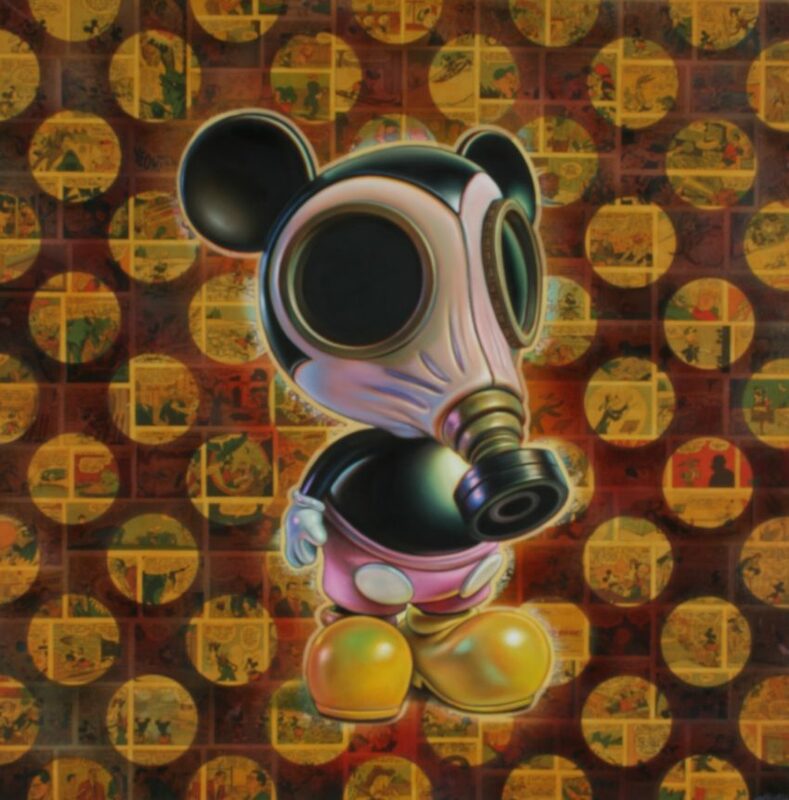 His work has been featured in various magazines and newspapers such as the New York Times, Juxtapoz, Hi-Fructose and Libération (one of the most read France newspaper) among others. 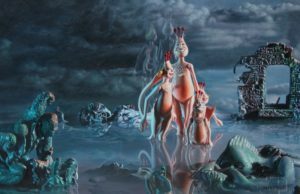 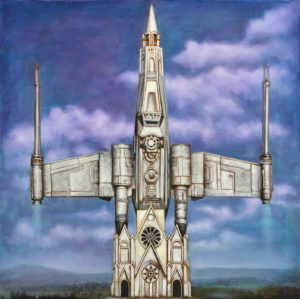 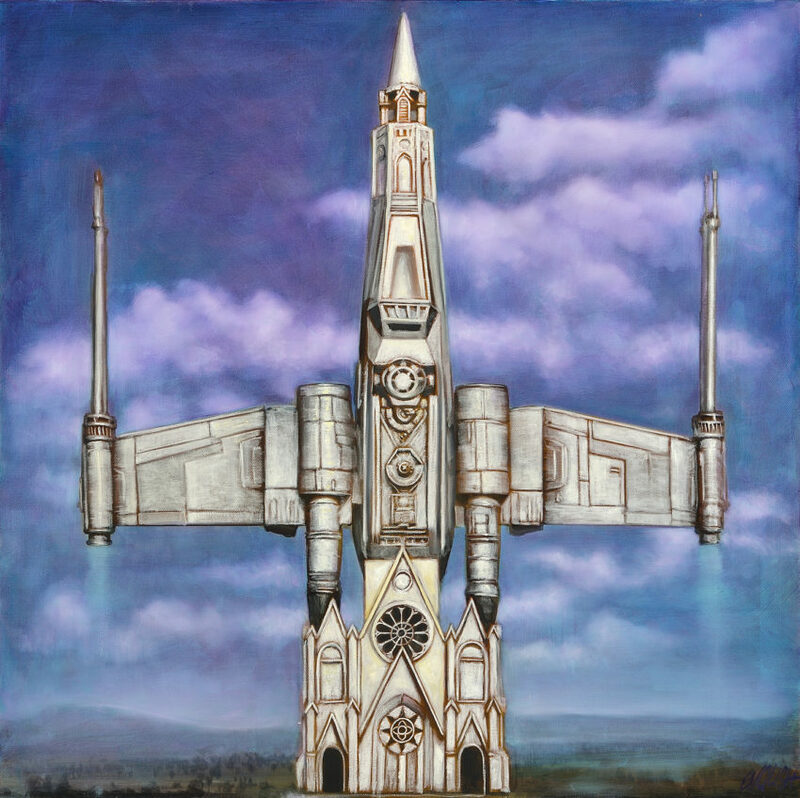 His work has been exhibited in many galleries around the world.